Krav Maga is a form of self-defence that was originally developed by Imrich Lichtenfeld. He started it in order to benefit the Israel Defense Forces and give them a way to defend themselves in the face of danger. 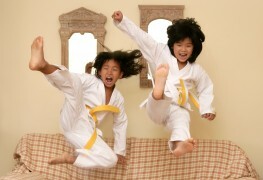 It has since become a popular martial art. Here are some basic principles of Krav Maga can help you defend yourself. If you're planning to learn how to spar in taekwondo, there are some important tips to learn to help you stay safe and be successful. 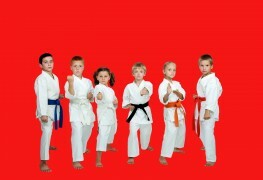 The best age to introduce a child to martial arts is whenever they are old enough to express genuine interest. 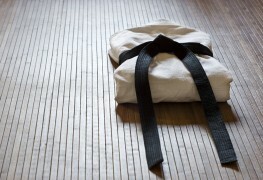 You must determine whether it’s only a whim but remember, not everyone who joins a dojo becomes a black belt. Martial arts is more than just a cool fighting style. It comes with a lot of responsibility to use your dangerous training properly and not exploit it. Students are expected to develop strong traits that will serve them in everyday life. Brazilian jiu-jitsu is one of the world's most difficult and demanding martial arts. It's no surprise that it takes a strict and comprehensive regimen to train for it. Here are nutrition tips for your training. Knee strikes, or ti khao, are an integral part of Muay Thai, the art of eight limbs. Below are details on six types of knee strikes that are commonly used in this martial art. Jiu jitsu is an ancient martial art that focuses on the practice of self-defence and the connection between the mind and body. Here are six great reasons to start practising Brazilian Jiu Jitsu. 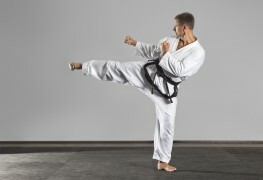 Karate is a great sport through which you can learn discipline, fitness and flexibility. It's also a demanding sport and can be intense for both body and mind. However, here are four important tips to follow to ensure everyone at karate stays safe. 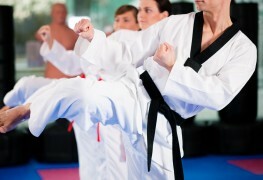 If you want to learn some of the world's lesser-known martial arts, check out the list below. 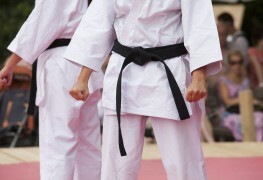 It contains four martial arts that are known for helping train people's minds and bodies. Someone who is lacking self- confidence and self-esteem can break this pattern by training in martial arts. Read below to find four reasons why. 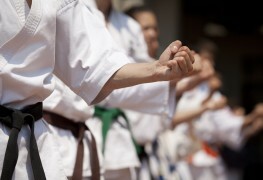 Karate is a great way to get exercise, make new friends, and even become more disciplined. However, it takes a lot of training to get familiar with the sport. These tips will help you perform your best from the get go. Jiu-jitsu is a great way to stay in shape, both physically and mentally. But if you don’t practice this martial art carefully, you’ll run the risk of injury. Follow these tips to reduce your chances of getting hurt.